Thank you for your trust and support in purchasing the Yamaha YZF-R25. On 14th February 2017, Yamaha Motor Co. Ltd., Japan announced its proactive recall plan for the Yamaha YZF-R25 due to the ignition switch and the fuel tank bracket. This recall plan is to ensure all YZF-R25 customers continue to enjoy the product to its fullest intended purpose. Hong Leong Yamaha Sdn. 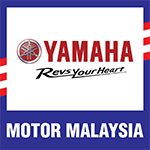 Bhd., as a responsible manufacturer and assembler of Yamaha motorcycles in Malaysia will continue our commitment in upholding the standards of the after-sales service requirements. We are ever thankful for you continuous patience as we gather more information in order for us to serve you better. Be assured that preparations for customer care actions are well underway and an official announcement will be published shortly via this website as well as our Yamaha Authorised Dealer network. In the meantime, do continue to ride and maintain your motorcycle in accordance to the instructions in the owner’s manual.